Much of success is simply persistence. The longer you do something and the harder you work at it, the better you get and the more opportunities you see. Persistence isn’t easy. It takes confidence in yourself to persist especially when you haven’t yet seen signs of success. 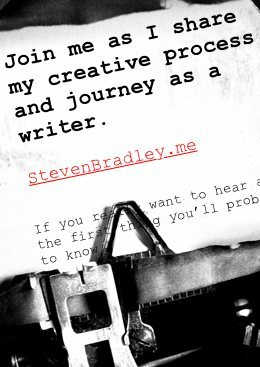 A few months ago I was talking about how I was looking to reshape this blog so I could add more spontaneity to some of my writing. I brought up the letters of Vincent van Gogh as something of a possible model for how one might blog. It’s been about 15 years since I first read Vincent’s letters. About a month ago I started the 3 volume set again and recently I came across a letter that struck me for the persistence and confidence he exhibited. The letter in question is mainly a response to a letter from Vincent’s brother. Theo had written chastising Vincent for an argument with their father and the manner in which he moved out of their parent’s house and to The Hague. It’s a long letter, but toward the end Vincent changes subjects and turns toward his work. At the time he’d predominantly been drawing and was beginning to take up water color. He was finding it difficult. He first describes a time when he moved from drawing with pen to drawing with charcoal and chalk. He found that change so difficult at first that he trampled the charcoal and chalk so as not to have them or be able to work with them. In time though, Vincent was drawing with both charcoal and chalk and realized the early struggles with them, were just early struggles with something new. Now I’m going through a similar period of struggle and despondency, of patience and impatience, of hope and desolation. But I must plod on and anyway, after a while I’ll understand more about making watercolours. This letter struck me for 2 reasons. We would all do well to feel the same way about our own work and be both confident in ourselves and persistent in overcoming the challenges we face. It’s natural to feel a loss of confidence during change and when attempting something unfamiliar. I’m sure at times you’ve picked up something new and immediately did well with it, but more often we’re not particularly good at first and only after some practice do we become good. That’s persistence. Keep at something and you’ll get better at it. We all know this to be true and yet we often forget just at the point where we need to remember most. Persistence is no guarantee you’ll become as good as you hope, but not persisting is a guarantee you won’t. Sometimes though, we aren’t as capable as we’d like to believe. I could easily rattle off a list of things that no matter how hard I try and how long I persist, I’m unlikely to ever be very good. How do you know when to push on and when you’re not being realistic? Part of the answer comes in knowing yourself and having confidence in your abilities. Confidence can derive from one of two places. The former is a false confidence. It’s a mirage because it relies on others consistently reinforcing it. You hope for and require a positive review, a good word, or a favorable recommendation in order to have self worth. The problem is if you listen to the good, you also have to listen to the bad. A single negative review could wipe away everything you got from a dozen positive reviews. The one time you aren’t recommended you question why and wonder if you deserved the earlier recommendations you received. When your confidence comes from external sources you’re forever at the mercy of those sources. Your confidence isn’t real. It’s a temporary loan from another. True confidence comes from within. You have to realize your opinion is the only one that matters in regards to your life and work. When you learn to build confidence internally no one can ever take it away. There will be times when your confidence is challenged and you might doubt yourself, but that internal source will provide the mechanism to overcome the challenge and renew confidence in yourself. If your confidence comes from someplace internal, external forces will have less and less ability to break it down. It’s easy for me to say be confident and to get that confidence from an internal source, but how exactly do you build confidence? In truth we’re all different and you’re going to have to figure some of the how out for yourself, but here are things that have helped me gain confidence in myself and the work I do. Learn more — More understanding of your subject will help you be more objective about what’s good and bad. Do more — You simply have to practice and do the work if you want to get better. Evaluate your skills against your former self — Don’t compare your skills to others. It sets you up for disappointment. Learn to see your work as objectively as possible — Critique your work from this objective place. Observe what you do well and see the opportunity to improve what you could do better. Don’t try to do everything at once — There’s always a lot to learn and it can be overwhelming if you try to learn and practice everything at once. Make smaller incremental improvements and note your progress. Plan your learning and practice — Give direction to your study by choosing related aspects of design to improve a bigger picture. Recognize there are fewer right answers than you think — Design solutions aren’t singular and absolute answers to a problem. Don’t stress if you don’t get 100% confirmation of a job well done. Remember to focus on the good you do. Naturally there will be some good and some not so good, but focusing on the good will improve your confidence and encourage you to make the not so good better. One of the reasons I like reading the words of artists, writers, and designers of the past, is because you learn they all struggled. When you recognize that those who you aspire to be also dealt with many of the same challenges you face, you feel a stronger connection with them and you gain an added sense of confidence through the connection. Vincent van Gogh’s letters served in this way for me in the past and I’m reading them again now so I can learn from their example and perhaps one day help others connect with my struggles and successes. Persistence is a key to success. As Edison said genius is 1% inspiration and 99% perspiration. Confidence in yourself will help convince you to persist and face the challenges that come your way. Only confidence from within is real. Confidence derived from others can be removed without your consent. Confidence from within can never be taken away and will be there serve as a source of strength and inspiration when needed. Keep learning and doing and observe your work objectively. Focus on the improvements you see in yourself over time. Accept that there are no perfect solutions and instead focus on making your solutions better. See weaknesses as opportunities to improve. You hit this nail on the head. I find myself really struggling with this and really appreciate your insight. Glad I could help Maureen. Nice to hear from you too. Hope all is well and don’t be a stranger. You know how to reach me. Speaking of external confidence — I must say I love your blog. I have it bookmarked and check it each day or 2. I actually prefer reading this over Smashing Magazine, A List Apart, CSS-Tricks, and a tonne of other personal blogs. Not that they aren’t good but yours is just really good. Keep up the good work! Thanks John. Always nice to hear. I’m not sure what you’ll find here is better than the sites you mentioned. I’m subscribed to all 3 and have written for one of them a few times. Still it’s always nice to be compared to them. Well I mean I find the signal to noise ratio in your posts much higher. Posts are good and applicable to myself. In those other sites they are still great but not always what I need or am looking for. That makes sense. There are some great sites out there, but they all seem to have some filler content. I know I do here and there too, but I try to limit it as much as I can. I made a conscious effort to keep the signal to noise ratio as high as possible. I do the same on my forum. I think it might be one of the most spam free forums online other than those where you need to pay to get in. Thanks. Glad you like the design too. Thanks Logan. I’m glad you enjoy what’s here. Steve, great post. It resonates with me because i’ve been using pretty much the same model to learn. I’m following the tips from a book called The Little Book of Talent by Daniel Coyle. Great book for framing how constant practice in manageable and incremental bits and constant self measurement can eventually get you to grasp pretty much any skill.Derek Sivers has a great summary of the tips on his site sivers.org/book/LittleBookOfTalent.‎Another book,The First Twenty Hours by Josh Kauffman has a fairly good framework for getting through the frustration of just starting to learn a new skill. Thanks Nyaga. I’m not familiar with that book, though it sounds like I agree with it. Thanks for the link. I’m looking at the summary now and I can see why this post resonates with you. The things I’m saying here and things I say in similar posts like this one are just me observing me and the people around me. There’s always some frustration when learning a new skill. You can see it being done well by others, but you haven’t yet practiced and learned enough to replicate what you see. I think the most important things are to accept it will take time to learn and commit to learning a little bit at a time and to keep at it. Thank you for this article. It’s exactly what I need at the moment. I’m going through that phase of lingering self-doubt, where I’m asking myself “am I being realistic about my goals, my dreams, my life?” There’s a part of me that wants to hang it all up and follow the “normal path” ( a boring nine-to-five job of grudge work and soul-crushing.) But then, I come across posts like this one and I have to realize that I’m making progress and that I’m better now than I was a year ago, far better than I was two years ago. If I feel like I’m not getting anywhere, it’s because I’m not paying enough attention. I’m not giving myself enough credit for what I’ve accomplished. Glad I could help Shane. Unfortunately the lingering self-doubt never really goes away. The good news is it gets easier to deal with. I think it can be so hard to realize how much better we get at things. We tend to compare ourselves to those we admire and that’s usually a losing proposition. You have to look back at yourself a few months or years ago to see how far you’ve progressed. If you’re interested I have another article about this. As far as doing what you want or following the normal path. Only you can decide, but I’ve found the feeling that makes you want to go that other route is a hard feeling to shake. Do the 9-5 if you absolutely have to, but otherwise follow your dreams. I think I’d rather fail trying to achieve my dreams than succeed along the normal path.